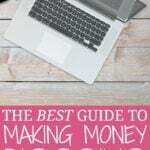 Are you interested in learning how to make money blogging and how to start a blog? Read below to learn exactly how I built a $1,000,000 blog. I created Making Sense of Cents almost six years ago, and since then, I have earned over $1,500,000 with my blog and around $979,000 in just 2016 alone. Blogging changed my life for the better and it allows me to earn thousands of dollars a month, all by doing something that I love. The funny thing is that I created my blog on a whim after reading about a personal finance website in a magazine. At first, it was just a hobby to track my own personal finance progress. And, when I started in 2011, I honestly didn't even know that people could make money blogging! My interest in blogging quickly grew, but like I said it was all just a hobby. I wanted a space to write about my personal finance situation, have a support group, to keep track of how I was doing, and more. I did not create Making Sense of Cents with the intention of earning an income, but after only six months, I began to make money blogging. 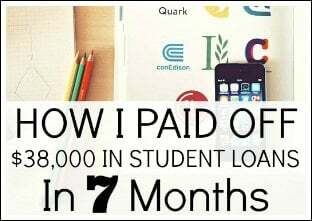 A friend I met through the blogging community connected me with an advertiser, and I earned $100 from that advertisement deal. That one deal sparked my interest in learning more about how to make money blogging and to take my blog more seriously. 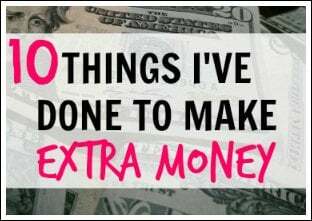 I now earn a great living from my blog, and it all started on a whim and not even knowing that blogs could make money. Blogging completely changed my life for the better, and I urge anyone who is interested learn to how start a blog as well. Blogging has allowed me to take control of my finances and earn more money. It means I can work from home, travel whenever I want, have a flexible schedule, and more! It’s all because I learned how to make money blogging. 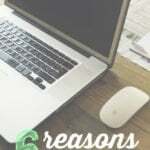 As I’ve said, I knew very little about blogging when I created Making Sense of Cents. I honestly didn't even know that blogs existed, which shows how much I knew about them. Now, here I am over 5 years later, and I'm regularly earning $100,000 a month from my blog and loving the freedom it allows me! 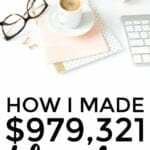 So, today I’m sharing how I built a blog that earned me nearly $1,000,000 in just one year and my tips so that you can create a successful blog that you love as well. How I earned my first income from blogging. As I stated earlier, I launched Making Sense of Cents in August of 2011 with no plan at all to make money blogging. Due to that, it took me a little bit longer to actually start making money, because I didn't even know it was possible. 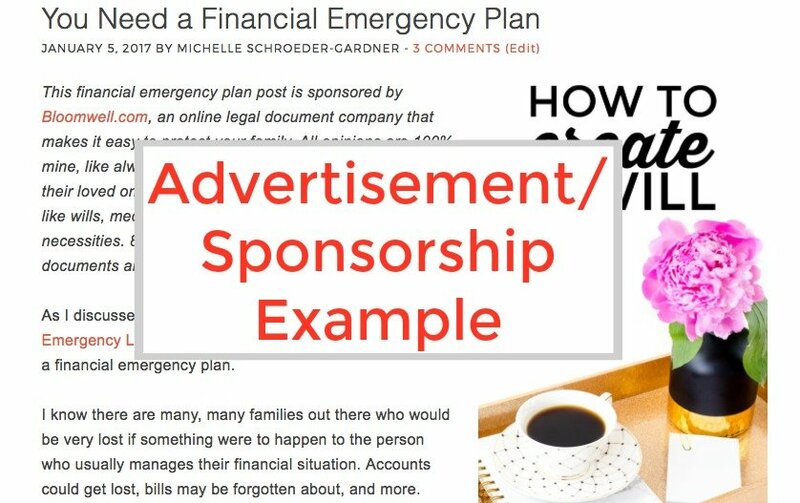 But, around six months after I started this blog, a blogger friend of mine connected me with an advertiser and I earned $100 from that advertisement. It wasn't a lot of money, definitely considering the amount of time and work I put towards my blog. However, it was very motivating to see that something I absolutely loved to do could actually make money. Remember, I had no idea that blogs could even make money when I started mine! After that first $100, the income I earned from blogging quickly grew from there. 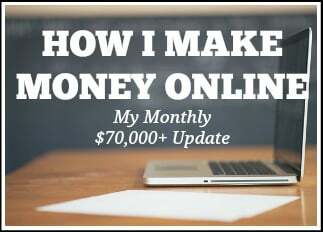 By the summer of 2012, just one year after I started my blog, I was earning around $1,000 a month, and I was making around $10,000 monthly by the following summer. 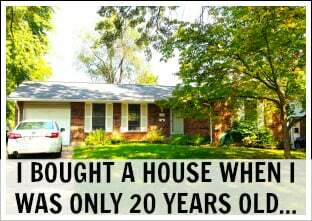 My income only continued to grow from there. In 2015, I earned over $320,000 from Making Sense of Cents, and I earned $979,000 in 2016. If you want to create a blog that earns you an income, you'll want to follow my tips below. You'll need a blogging plan. If you want to start a blog and learn how to make money blogging, I recommend that you first create a plan. I created my first real blogging plan in 2015, and my income has grown crazy fast since then. I wish I would have had a plan when I first started my blog. I put a lot of things off, and I probably missed some opportunities to earn money because I had no real plan in those first few years. Since creating a blogging plan I have been able to become more focused on goals and be more motivated towards continually improving. 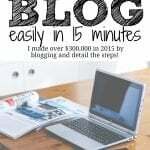 How will you make money from your blog? How do you plan to grow your blog and reach more and more readers? Creating a plan allows you to lay everything out in front of you. This way, you’ll know what you’re working towards and know what to do next. Start your blog on the side. For the most part, you'll want to start your blog on the side of what you already do. That's exactly what I did. 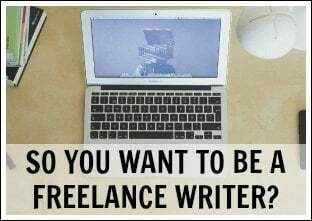 By starting your blog on the side, you'll be able to see if you enjoy it, what type of income you need in order to make it a full-time job, and so on. Blogging can be stressful, you just never know what may happen, what algorithms will change things, and so on. Starting my blog on the side allowed me to have more fun with it and take my time because I had my day job's income to rely on. This made learning how to make money blogging much more enjoyable because I still had the stability of my day job. If you want to create a successful blog, you will need to publish high quality content. This will help you increase your traffic and earn more money. No, you don't need to be an expert on a subject nor do you have to have a degree, but you do need to be knowledgeable or interested in what you are talking about. This will show in your writing and actually help your readers. High quality content will help you grow a loyal readership that will keep coming back. Dig deep and figure out exactly what it is that you’d like to write about. Being passionate about a subject will give you motivation to write content that people will want to read. Just think about it: If you don't enjoy writing your content, then why should you expect someone else to want to read it? Survey your audience and determine what they want you to write about. Many of my best ideas come from reader questions! Complete any research that is needed by reading news articles, going to a library, digging for statistics, and more. Write long content. Sure, some great content may only be a few hundred words, but to be as helpful as possible, long content is usually the best. My blog posts tend to be over 2,000 words, and this blog post is over 4,000. Reread your content. I used to read my content 10 times or more before I would publish it. Now, I have an editor who makes sure that my content is high quality. Be passionate about your blog. Blogging is a ton of fun, and I believe the best blogs are written by those that love to write and love everything that goes into blogging. There are a lot of tasks and responsibilities that go into running a high quality blog, which means it’s easy to spend 100 hours a week working on it. This is why being passionate about what you are doing is so important. There are always new things to learn, posts to write, things to research, networking opportunities, finding more ways to make money blogging, and more to do. So, enjoying what you do will make everything much better and even easier. I have been passionate about Making Sense of Cents from the beginning. I enjoy helping my readers improve their finances and reach financial freedom, I love talking about finance, and really I just love everything that goes into blogging. This passion and motivation means that I look forward to every single day that I work, which keeps me from feeling tired or stressed after spending hours and hours working on my blog. Networking is very important if you want to create a successful blog. Bloggers should be open to making blogging friends, attending blog conferences, sharing other’s content with their readers, and more. However, I believe that many bloggers skip this area, which holds many of them back. Many bloggers see other bloggers as competition, and this is a bad thought for a blogger to have. 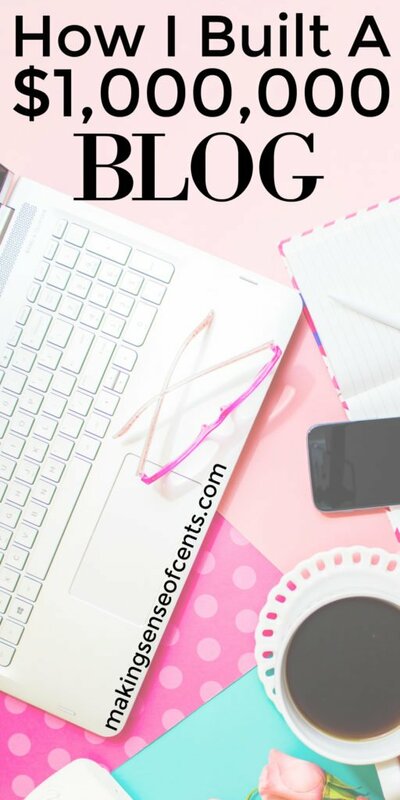 Networking can help you enjoy blogging more, learn new things about blogging, learn how to make money blogging, make great connections, and more. If you want to make money blogging like I have done, then you will want to network with others! After all, networking is how I earned my first $100. I've learned everything I know about blogging from the blogging community, namely other bloggers and conferences, so it would have been very hard to become successful without networking. Be ready to put a lot of hard work towards your blog. Blogging isn't easy. If it were, then everyone would be doing it. It takes a lot of hard work if you want to have a successful blog. Learn how to promote your blog. Understand how to make money blogging. Master all of the different social media platforms. 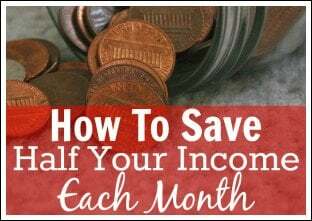 Even when I was just a new blogger, I was still devoting over 10 hours a week to Making Sense of Cents, and that was without even knowing I could make money blogging. When I was working my full-time day job and earning an income from my blog, I was working around 40-50 hours a week on my blog on top of my day job! 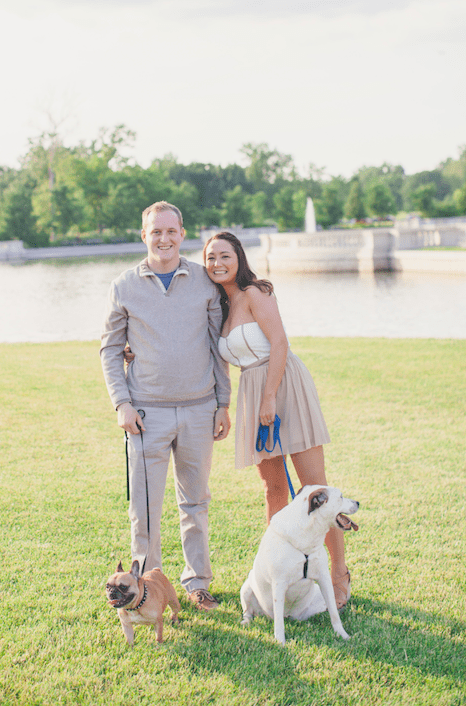 Now that I blog full-time, my hours vary. Some months I hardly work, and there are other months that I may work 100 hours a week. It's not easy, and there's always something that needs to be done. Luckily, I absolutely love blogging, which makes the hard work a little less tough. Learn how to make money blogging and diversify. There are many ways to make money blogging. For me, I like to be as diversified as possible and monetize in many different ways, so I'm constantly learning how to make money blogging. Being diversified is great because you're not reliant on one form of income. This can be extremely helpful as it protects you and your business if one form of your blogging income completely fails. By being diversified, you won’t have to be as worried about that happening. And, trust me, you will occasionally have bad income months, so it is best to be as diversified as possible. I regularly earn around $50,000 a month through affiliate marketing, and it's all done fairly passively through blog posts and email sequences. For the most part, all the work is done and the traffic that is generated to my email list and blog posts passively converts people into buyers with minimal work required from me. Use the Pretty Link plugin to clean up long affiliate links. I use this for all of my affiliate links, because something like “makingsenseofcents.com/bluehost” looks much better than the long links that affiliate programs usually provide. Provide real reviews. You should always be honest with your reviews. If there is something you don't like about a product, either don't review the product at all or mention the negatives in your review. Publish tutorials. Readers want to know how they can use a product. Showing them how to use it, how it can benefit them, and more are all very helpful. Have a recommendations page. I always like checking out a blog’s recommendations page. It can be a great way to list valuable products and services that readers may need or want. Here's mine as an example. Don't go overboard. There is no need to include an affiliate link 1,000 times in a blog post. Include them at the beginning, middle, and end, and readers will notice it. 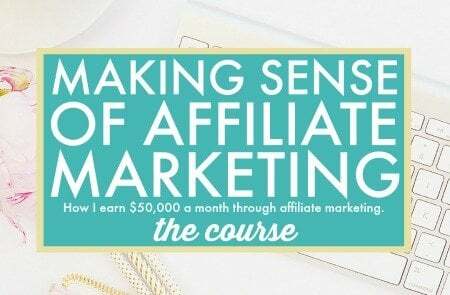 You can learn more about affiliate marketing strategies in my course Making Sense of Affiliate Marketing. Advertising on a blog is one of the first ways the average blogger begins to make money blogging. In fact, it's exactly how I started! This form of blogging income is when you partner with a company and advertise their brand on your blog or social media accounts. From this form of blogging income, I earn around $15,000 to $20,000 a month. And, this is all from companies finding me and approaching me directly. Display advertising is another popular way to make money blogging. Display advertising is a passive form of blog income, as you just place advertisements (usually through an advertisement network) on your blog’s sidebar, below a blog post, or somewhere else. The income increases or decreases almost entirely based on your page views, and once you place the advertisement, there’s no direct work to be done. If you want to learn how to make money blogging through display advertising, then some popular networks include Adsense, Media.net, MediaVine and AdThrive. 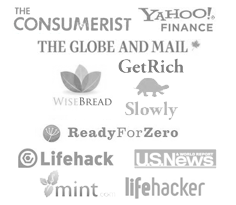 Personally, I use AdThrive for my display advertising network. I don't have many display advertisements on my blog, but I regularly earn around $1,500 to $3,000 a month from this. To really be in control of how you make money blogging, you'll eventually want to create a product to sell to your audience. There are many products you can create and sell on your website, such as an ebook, course, etc. I launched my first for-sale product last summer, which was a blogging course called Making Sense of Affiliate Marketing. 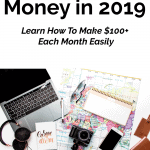 I make around $20,000 to $50,000 a month from this course, and because I have already created and finished the course, it's a nice form of somewhat passive income. 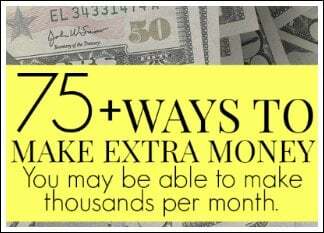 Plus, I have helped many, many people improve their affiliate marketing income as well, which is such a great feeling! To make money blogging, you'll want to create an email list starting on day 1. My biggest blogging mistake is that I waited until about two years ago to start an email list, and I waited even longer to take it seriously. I really can’t believe I waited so long! And, it wasn’t until just a few months ago, when I switched to Convertkit, that I got serious about using that list. I didn't really use my email list because I didn't understand newsletters or how an email list could help me. Wow, that was a huge mistake, and I’m happy that I have learned from it. Your newsletter is all yours. Unlike social media sites, your newsletter and email subscribers are all yours, and you have their undivided attention. You don't have to worry about algorithms not displaying your content to readers, and this is because they are your email subscribers. You aren't fighting with anyone else to have them see your content. The money is in your list. I believe that email newsletters are the best way to promote an affiliate product. Your email subscribers signed up to hear what YOU have to write about, so you clearly have their full attention. Your email list, over any other promotional strategy, will almost always lead to more income and sales. Your email subscribers are loyal followers. If someone is allowing you to show up in their inbox whenever you want, then they probably trust what you have to say and enjoy listening to you. This is a great way to grow an audience and a loyal one at that. Email is a great way to deliver other forms of content. With Convertkit, I am also able to easily create free email courses that are automatically sent to my subscribers. Once a reader signs up, Convertkit sends out all the information they need in whatever time frame I choose to deliver the content. You should be constantly learning about blogging. Many of you have wondered about the tools and resources I use to improve my blog. I believe that in order to be a successful blogger and to learn new ways to make money blogging, you will need to invest in learning new strategies, such as through ebooks, webinars, courses, and more. Making Sense of Affiliate Marketing – I earn over $50,000 a month through affiliate marketing, and I share my exact strategy and tips in this very informative online course. 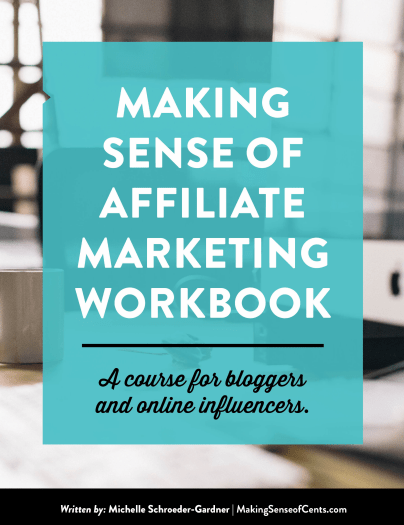 If you're a blogger, then you NEED this course to learn how to make money blogging through affiliate marketing. 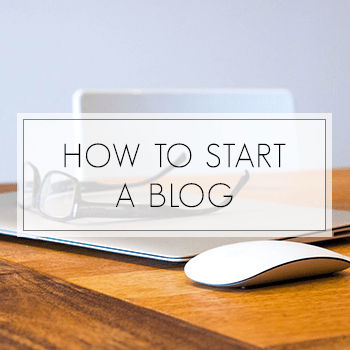 How To Start A WordPress Blog Tutorial – This isn't an ebook or a course, but it is my free tutorial that makes it easy to start your own blog. I have included every single step that you need to take, plus I have negotiated affordable pricing so that you can start your blog at a low price. Pinterest Traffic Avalanche – This is my favorite course on Pinterest! You can learn how to get 10,000-100,000+ free monthly visitors to your website through Pinterest with this course. 17 Strategies I Used To Grow My Page Views eBook – Lena Gott's ebook is full of great information on how to increase your page views. 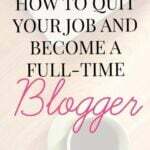 If you are feeling stuck or are a new blogger, check out this ebook! Lena went from 17,000 monthly page views to 350,000 and shares all of her best tips in this ebook. Facebook Strategies Worth Sharing – I bought this ebook last month, and I highly recommend it. Facebook is an area I'm currently working on, and I've already read the whole book. The author of this ebook grew her Facebook page from 2,000 to 100,000 followers in just 5 months! Crazy, right? I started 2016 with just around 6,500 Facebook followers and ended it with 38,000. I owe a lot of that to the great tips in Facebook Strategies Worth Sharing. Growing my Facebook page has allowed me to reach new readers, improve my blogging income, grow my email list, and more. As you can see, there are many great blogging resources. Each of the above resources covers different aspects of blogging and/or making money online. If you have the chance, I recommend getting them all and taking your time with each one. As a blogger, you'll want to find ways to improve your traffic. No, you don't need millions and millions of page views to earn a good living from blogging. In fact, I know some bloggers who receive 1,000,000 page views yet make less money than those with 100,000 monthly page views. Every website is different, but once you learn what your audience wants, you can start to really make money blogging, regardless of how many page views you receive. Having a successful blog is all about having a loyal audience and helping them. Even with all of that being said, to make money blogging, it doesn't hurt to improve your traffic. The more loyal and engaged followers you have, the more money you may be able to make through your blog. There are many different ways to increase the number of page views you receive on your blog. Publish high-quality blog posts – Your blog posts should always be high-quality and helpful, and it means readers will want to come back for more. Find other social media sites to be active on – Besides Pinterest, there are several other social networking sites to use, including Facebook, Twitter, StumbleUpon, Periscope, Instagram, Snapchat, Youtube, and others. Post regularly – For most blogs, you should publish something at least once a week. Readers may forget about you if you go for weeks or months at a time without a blog post. Network with other bloggers – Too many bloggers see other bloggers as competition. However, you should see them as friends and colleagues. This means interacting with them on social media, reaching out via email, attending conferences, and more. Of course, be genuine with it all, and give more than you take. Guest post – Guest posting is a great way to reach a new audience, as it can bring new readers to your blog who will potentially subscribe to it. Create catchy headlines – The title of your post can either bring readers to you or deter them from clicking over. Learn SEO – SEO (search engine optimization) is not something I can teach in this small section. But, to learn SEO, I recommend taking the same course I did, Accelerate Your Blog. As you can see, it takes to build a successful blog. And, I still find it funny that when I first started my blog, I had no idea I could earn a living from it. 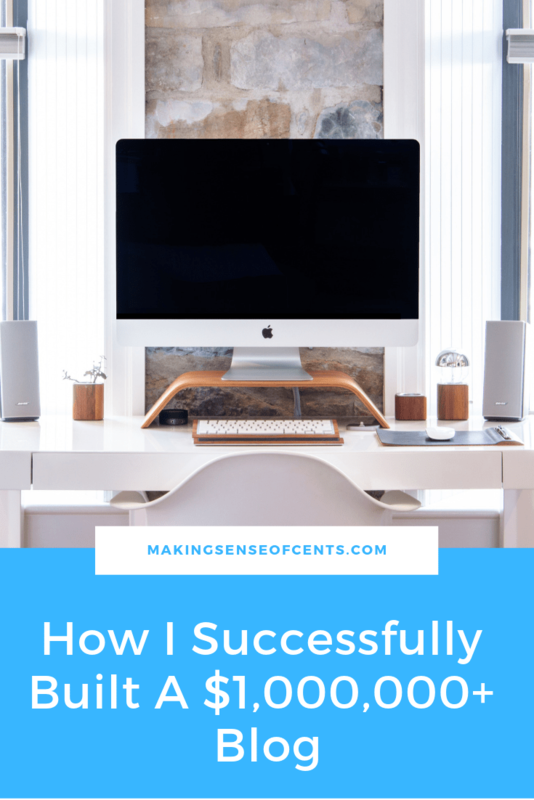 Starting Making Sense of Cents almost six years ago and learning how to make money blogging has completely changed my life for the better. 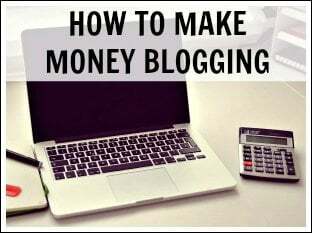 Are you interested in learning how to make money blogging? What questions do you have for me? Thanks Michelle I feel really motivated with your blog income and it makes me wanna work harder for my blog too. Please how many affiliate program do you recommend someone should promote on his or her blog? Because you talked about diversify. Thanks for a great post. Are there any blogging conferences you would recommend for networking? I’d like to meet other bloggers and build relationships, but I don’t know how. Thanks. Great post, again. I have a few niche websites that focus on products on Amazon. I only get 30-40 views per day but I make an extra $500-$1000 per month. It does take a long time to get traffic, and I haven’t focused on getting more. Definitely need to up the page views! Hello, the Blog Bundle is out of stock, any other suggestion for learning SEO? Just wanted to check up and say hey. I’m following your lead of side hustle millionaire entrepreneurship. Building a million dollar online business is tough. People have to want to do this because there’s no guarantees. It’s certainly worth the risk because speaking from past experience in corporate America, I was miserable waking up everyday and going to work for someone else that got rich off of my work without me getting benefits. This is why I’m in the side hustle millionaire mindset like you. Thanks for keeping me inspired. Michelle, such an awesome. I always thought I should improve on Pinterest. I clicked on the Pinterest course you recommended, it said the course is not open for enrollment yet. Please let me know if you have a course on Pinterest? I would be happy to check it out. Thanks. Your blog continues to inspire me not only to have a successful blog but to have a blog filled with quality. I hope to one day be as impactful as I’m sure you have been to many! This article helps a lot to beginners. I totally agree with you about networking. Actually, this is very common as a fresher to think other bloggers as competitors. But, this won’t take a long to realize that you need to maintain a fear relation with them if you have a plan to go long and wanna be a an authority. in my personal opinion, I believe affiliate marketing and blogging is by far the most simple way to put oneself in a position to make money online tested 24 hours a day but this is not a get rich quick overnight operation. 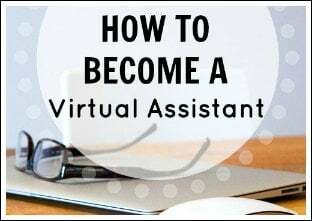 In fact, people who dedicate themselves to making affiliate marketing and blogging full-time career left and work twice, thrice, and dozen times harder than the regular day job in order to make it work for them. Why? Because there’s no guarantees of earning one died in online marketing. This is possible with no guarantees of financial stability. But one can make themselves a future “side also millionaire,” if they believe in themselves and do the transformation business work of inspiration for desperation. Thank you for the tips, you are a great inspiration. I agree with you that blogging is not easy and requires commitment and passion for what you are doing. A blogging plan helps to keep you in the right track so, yes is essential to have one. Even if you take baby steps is always better than no taking action.